FG9439/36 Mecatech Steel brake lining, 4 pcs. FG9439/02 Magura brake caliper piston,1 pc. FG9439/04 Magura Brake caliper spring, 2 pcs. FG9439/05 Magura brake caliper pin, 2 pcs. FG9439/09 Magura brake caliper cover.1 pc. FG9439/10 Socket-Head M3-L10 mm, 4 pcs. FG9439/16 Magura Main Brake cylinder lever steel, 1 pc. FG9439/15 Magura main brake cylinder, 1 pc. FG9439/18 Magura Main brake cylinder spring, 1 pc. FG9439/19 Magura Main brake cylinder piston, 1 pc. FG9439/20 Magura Main brake cylinder sleeve, 1 pc. FG9439/22 Magura Main brake cylinder needle, 1 pc. FG9439/23 Magura Main brake cylinder push roll, 1 pc. FG9439/25 Magura Main brake cylinder connection, 1 pc. FG9439/26 Magura Main brake cylinder connection, 2 pcs. FG9439/30 FG Brake Line clear Ø4 mm, 1 st.
FG9439/37 Magura Brake lining spacer plate, 4 pcs. 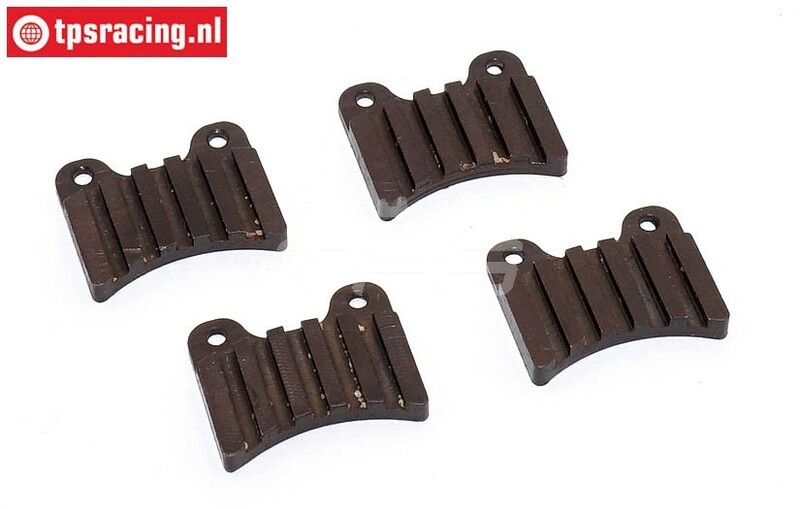 FG9439/08 Magura brake lining spring Ø2,5-L12 mm, 4 pcs. FG9439/39 Hydraulic fitting M5-Ø4 mm, 1 pc.